What's this you hear? Tinder are actually taking a step away from online dating? In some ways this should come as no surprise, nearly every improvement they've made to the app of late has gravitated away from their original directive, perhaps as a response to the veritable avalanche of negative press they were buried under early last year. 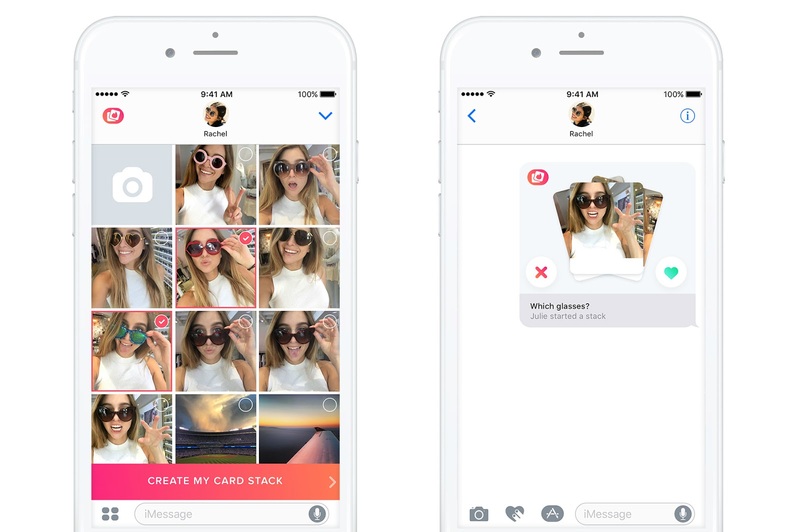 Tinder Stacks is a new standalone platform. 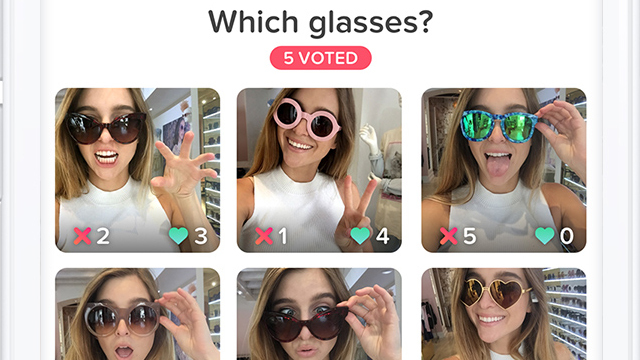 It uses the same swiping system as the dating app, but dating has no place here, this is about polling. Stacks allows you to create opinion polls with images from your photo library, and use them as options in said poll. For example, you could be deciding where to go on holiday, and post images of all the potential destinations. Other users then swipe to either approve or disapprove. The catch is that it's not a public vote, it's your friends, or 'squad', as Tinder describes them for some reason. Evidently the Tinder staff are appealing in particular to people who are basically incapable of making a decision by themselves. You know, the sort of people you find yourself wondering why you ever associated yourself with them. The app works within iMessage, and activates with a button called 'start a stack', which makes sense, but also makes me crave pancakes. Once you've started a stack, you then select the photos you want and build a little multiple choice slideshow. Lastly, you actually put the pertinent question in, and then it's added on as a kind of subject line. You then share it either with one specific, very patient person, or a group of people. It's an odd idea with a surprisingly broad potential. You could use it for isolated market research, or to decide on a destination for a night out. The things Tinder themselves are recommending are probably the ones you want to avoid, though. Pick out your own damn sunglasses.